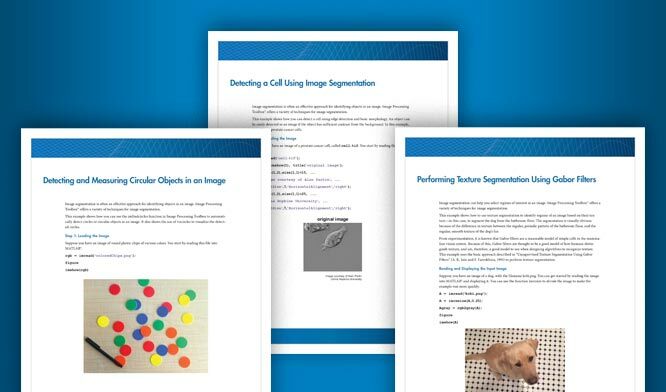 Viewing images is fundamental to image processing. 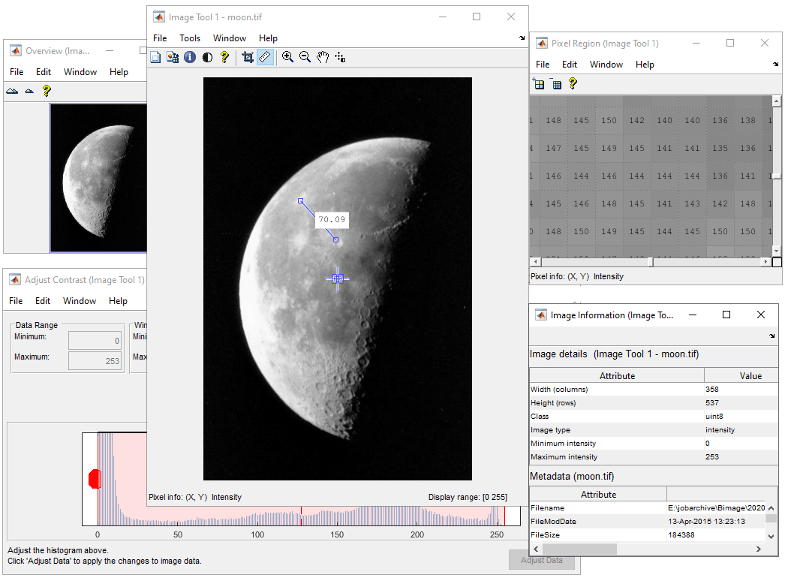 The toolbox provides a number of image processing apps to view and explore images. Using the Image Viewer app, you can view pixel information, pan and zoom, adjust contrast, and measure distances. The toolbox also provides visual tools for creating your own apps. To understand all the toolbox image display capabilities, see Image Display and Exploration Overview.